at a time (off leash) into the wilderness for exercise and socialization. 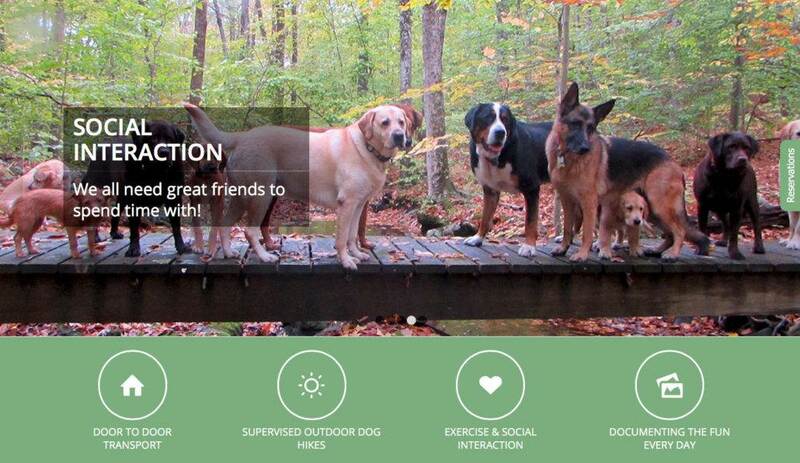 Active Dog was just starting out in Greenwich, CT. Eric Bleile, the company owner was quickly moving from a 3-person operation to something much bigger – demand for his dog hiking services was growing faster than he could handle. A consummate customer service guy, Eric was wasting his valuable time with email, personal text messaging, and crude Excel spreadsheets to handle his business operation. When clients needed to book a hike, they texted him. When they needed to cancel, they called him. When their house key was hidden in a different place, they emailed him. Every hike consisted of Facebook posts so that his clients could see their dogs having fun in the forest while they were at work. Needless to say, he was running ragged. An even deeper issue was in tracking and collecting payments. He was writing off many delinquent accounts as losses, and stressing out over chasing checks and cash to support his livelihood. As his company grew to over 300 dogs and 5 service vehicles, he needed a sound solution. He needed to scale his marketing and his operation, new client on boarding, payment acquisition, and staff training for consistency. 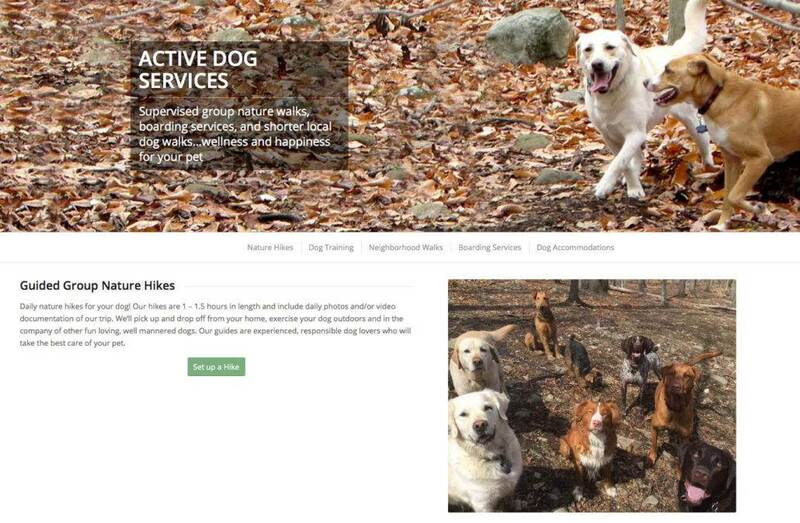 The Active Dog website that we built took all of Eric’s business requirements into consideration. For starters, we built an online new client registration process complete with email autoresponders and “next steps”. Newcomers are prompted to book a time to speak with Eric, but before this happens they are ushered through a comprehensive tour of the company. They learn what is expected and get their initial questions answered. By the time owners meet with Eric or his staff, they know how the program works. We created a solution for repeat customers to book hikes directly through the website. This way, Eric is able to control access and all bookings are now prepaid so he’s never chasing cash, checks or dealing with delinquent accounts. From a marketing standpoint, we made the biggest strides of all. We created a unique Facebook integration that aggregates all of Active Dog posts onto his web pages. The “Dog Report” is the hub of all social updates including photos, videos, and every bit of the action. This function has not only skyrocketed Eric’s word of mouth referrals, but has also boosted search engine rankings tremendously. 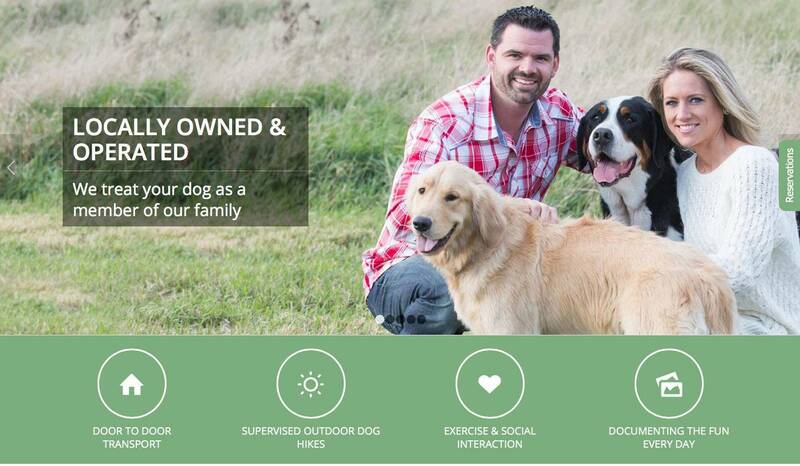 Through such automations and in growing his company, Eric has opened a branch of Active Dog in the outskirts of Denver, Colorado. His lead associate Katie is at the helm out there and the company is continuing to grow exponentially.